Cad Bane is an anti Jedi character with high damage capabilities. Let’s take a look at what he has to offer to your team. Basic Ability: Gun Slinger – Deal Physical damage to target enemy with a 55% chance to attack again. 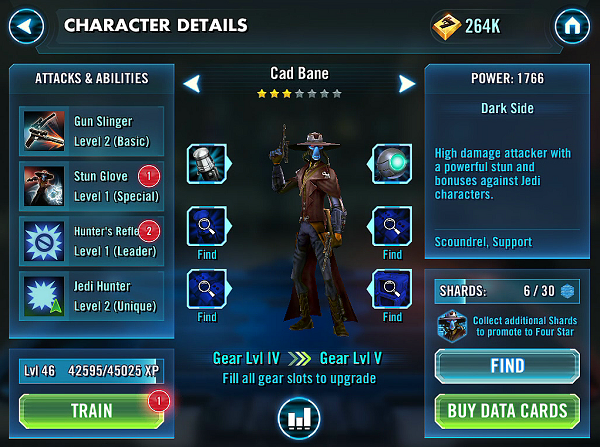 Unique Ability: Jedi Hunter – Cad Bane has +35% Critical Chance and 15% Critical Damage when attacking Jedi enemies. Leader Skill: Hunter’s Reflexes – Scoundrel allies gain 20% Evasion and gain 25% Turn Meter whenever they Evade. Cad Bane is a very useful disabler against Jedis. His single target stun ability is guaranteed to land and provides a bonus 100% turn meter reduction on Jedis. That means a 2 full turn loss. That is powerful. His first skill is a multi-attack skill similar to Princess Leia’s, but not as OP. It is still good though. 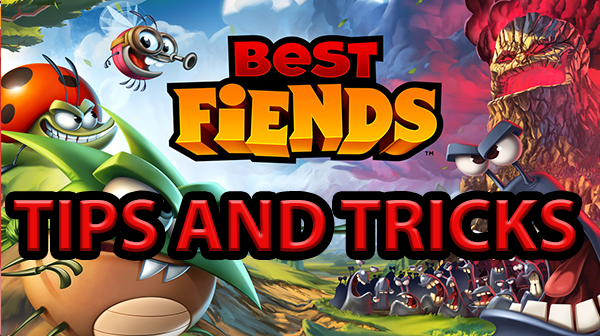 When RNG procs on your side, its awesome damage. He works very well in a scoundrel composition alongside Chewbacca, Lando, Boba Fett and Greedo. He does have very low health though. Plus, he is not farmable right now. That means he will be very good until mid-game and he starts dropping off as other characters will be higher star level and better damage eventually. Verdict: Use him till mid-game. Don’t invest too much into him.